When we talk or think about Mexico, what comes to mind? Well, their great food and the cheerful people living in beautiful places which are completely immersed in art and culture. 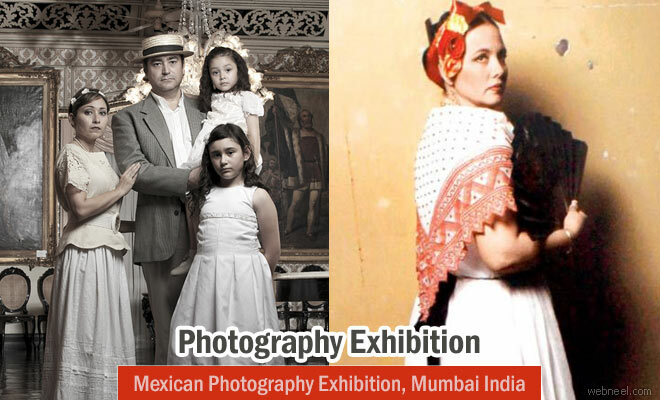 It's the 206th Independence day for Mexico and to celebrate it in a joyous way, the Mexican embassy has organized for a Mexican Photography Exhibition at NCPA, Mumbai. The exhibition started on 29th August and will end on September 8th. It's a free permit for everyone and it's open during weekends too. You can visit till September 8, 12 pm to 8 pm (closed on September 5). AT Piramal Art Gallery, NCPA, Nariman Point. The popular mexican photographers Ana D Lombard and Lourdes Almeida will be exhibiting their photography talent, which offers a beautiful insight into mexican culture. "The nation has a rich cultural and social heritage, and both photographers have approached the subject in their own diverse ways," says Smita Mohta, Public Relations, Honorary Consulate of Mexico. Mexican Photographer, Ana Lombard, has captured the beautiful sights around the Port of Veracruz and it's kind of a tribute to her place of birth. Mohta says, "Lombard's is a work of memory. She captures the sights and the people of the lively port city where she was born. Migrants that settled down in Veracruz City, and their descendants find a place in her photographs." Lourdes Almeida is an award winning Mexican photographer who mostly takes pictures of mexican families. It's nice to see theperforming artists and a family of mexican florists. It's interesting to watch people wear so many colors on them with intricate designs. "The people and culture of Mexico are the result of an indigenous and Spanish duality. Almeida's photographs illustrate this duality in lifestyles, value systems, traditions and beliefs of these families," says Mohta.